With a compact and convenient structure and at a lower cost than traditional buildings, many will prefer houses that give a modern and sustainable environment. We have no doubt about their popularity! 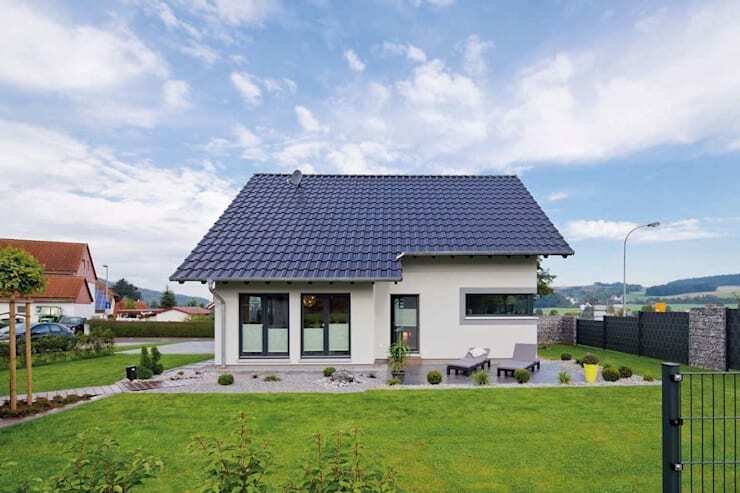 In addition to the above characteristics, the significant reduction in construction time of the prefabricated house is suitable for people who want to pay for and move into their homes in a short time. 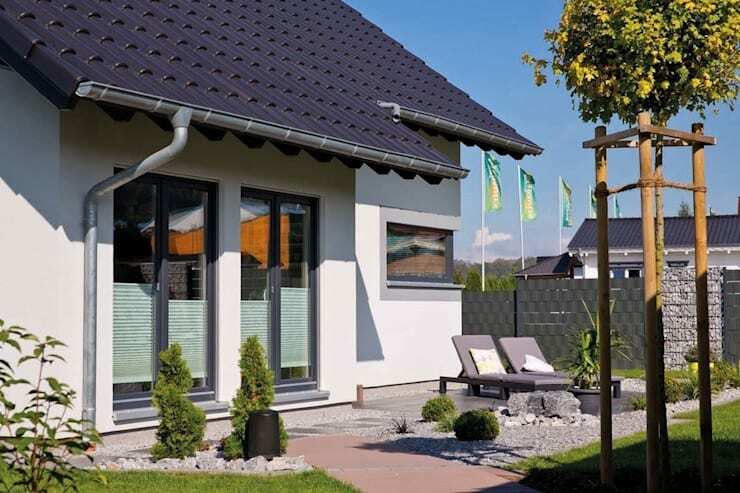 Today we will look at a small but beautiful prefabricated house. This house has a simple and generous appearance, but after passing through the front door, we're sure you will be pleasantly surprised by its stylish chic interior. 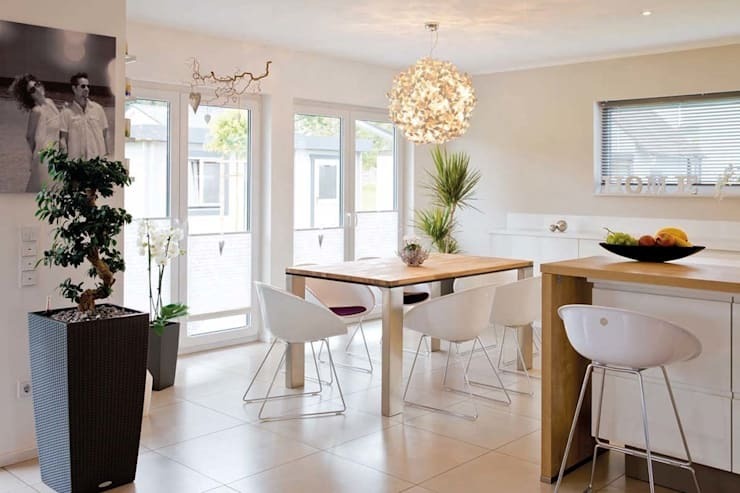 If you are considering purchasing this new type of housing, then let us at homify take you on a guided tour! We can see how this prefabricated house, in a simple suburb, evokes a sense of nostalgia. The total living space of the house is adequate for a family, and, after you enter the house, you will find out more about how the designers really contrived to make use of the space available. 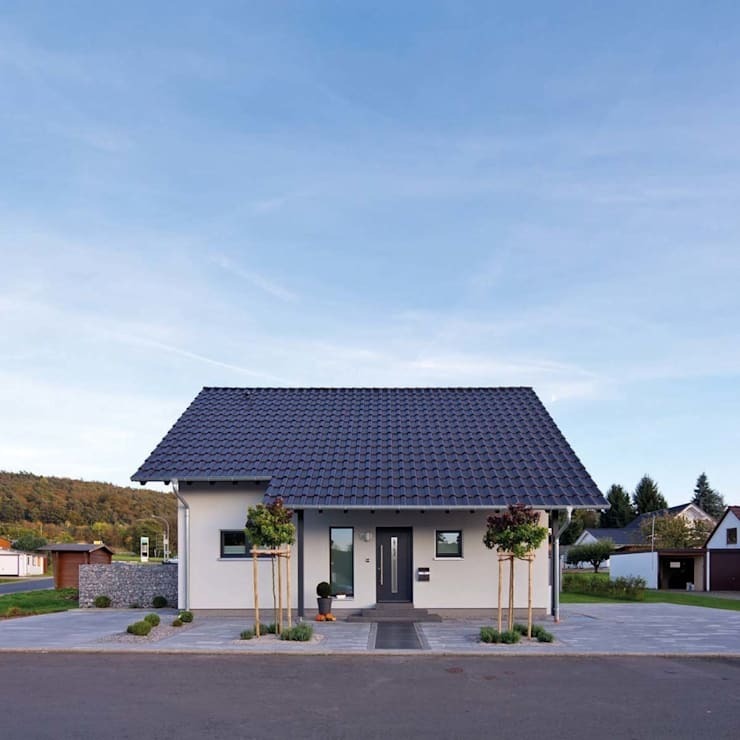 The exterior of this prefabricated house is simple and elegant, and it does not look out of place in the beautiful countryside environment which surrounds it. Although the model of this prefabricated house is quite small and cost-effective, all the designs still take into account the convenience of home life and at the same time add a bit of charisma and comfort. Notice the carefully crafted garden and sun loungers in a well constructed and thought out back yard. If you're looking for some landscaping and garden advice, homify has plenty of professionals who'd love to help! Now let's look at the interior of this cute family home. The spacious entrance walls and ceilings are white, and the clever use of colour serves to make the inside look larger than it actually is. This space is mainly composed of natural elements and neutral colours which, together with the beige tiling, bring a homely feeling to the area. 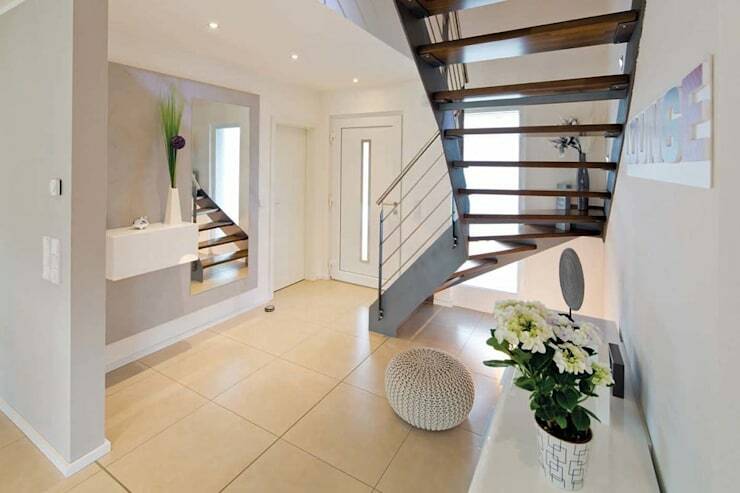 The choice of a wooden staircase and steel railings in stark contrast to the lighter, neutral colours is a very modern touch, more indicative of Swedish or Scandinavian design. Now we step into the living room, greeted by a warm and luxurious scene. Again we observe neutral coloured walls, ceilings and tiles, with a grey, long-haired rug and L-shaped dark sofa, successfully creating a stylish and chic look. 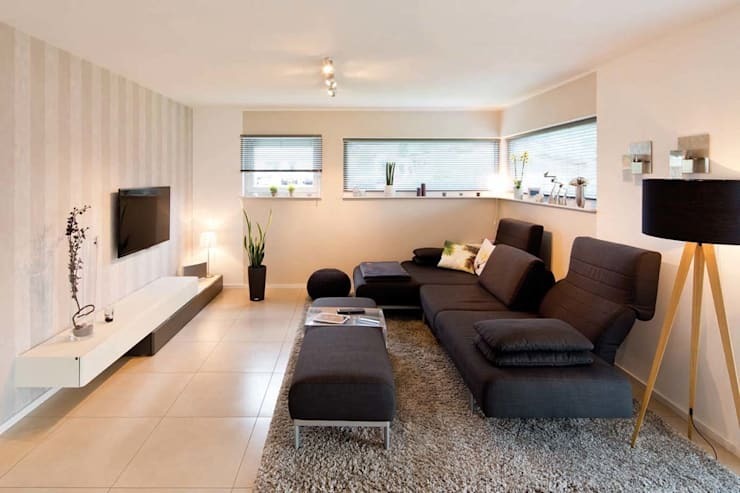 This is a living room without too much decoration, which, in addition to being cost effective, also lacks clutter, therefore becoming instantly more appealing! Dining area, living room, and kitchen. The three main living areas of the property co-exist in the same open-plan space. From this picture we can really get a feel for the elegance of the designer's style. Beautiful, tasteful lighting, wooden tables and counters complemented superbly by white seats and high breakfast bar chairs, all successfully create a space where people can relax to eat. As the dining area is next to the French windows, much of the light filters into the interior giving a bright and easy atmosphere. Definitely an area where people will want to be. Finally, let's take a look at the bathroom of the house. A superb, luxury bath is definitely the biggest highlight of the room. The large mirror above the sink has been installed with an LED backlight giving a singular lighting effect to impress. The elegant style of the bathroom serves to bring a more unique personality. 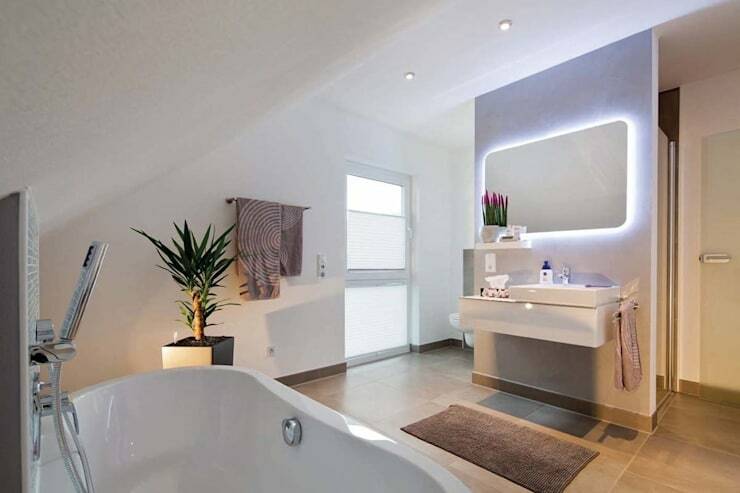 For parents, this spacious area is a wonderful place for young children to take a bath. The room is large enough for a well placed wicker chair or stool which a parent might conveniently use while the toddlers bathe. Yes, this compact home offers all the features a family could need! Is a prefab home something you'd consider?